You will (almost) never see my wrist without a Fitbit on it. Since buying one a few years ago, it’s become a staple in my wardrobe. Before having a Fitbit, I was blissfully unaware of how many steps I was (or wasn’t) taking each day. Having it on my wrist and as an app on my phone has kept me more accountable. What’s even more fun is that with the Fitbit, I can participate in step challenges with friends to achieve my daily step goal. It makes it so much more fun! Because of this reason, thanks to The Medicine Shoppe in Fleetwood and New West, I am giving away a Fitbit Flex 2 to one lucky winner on Day 3 of my 5-Year Blogiversary Giveaway! If you haven’t visited these Medicine Shoppe locations, they are a really great resource for the community. A community pharmacy can be an integral part of your family’s medical care. At The Medicine Shoppe in Surrey and New West, they are there for so much more than just filling your prescriptions. They can help patients with all aspects of care from diabetes and blood pressure checks to advice on elder care and specialized weightloss programs. And since these are family owned franchises, you are supporting small businesses! To enter to win a brand new Fitbit Flex 2, follow the instructions on the rafflecopter below. This giveaway is open to residents of British Columbia. I’m very curious as to how much I move during the day; I’d love this. I had one for a couple of years and lost it, I loved having it to make sure I was moving enough during the day. Well you know I love my fitbit lol. I feel naked without it. Oh my gosh! This is what I want for Christmas! I need to start getting my body moving more. Ive fallen into a real rut with exercising enough…mostly due to super low iron/lack of energy but anyways! I’m with yah on small business pharmacies! They provide excellent care! This is a great giveaway! Using my iPhone app is getting complicTed…. I love my fitbit and tracking my steps! And you are always inspiring me to get in more steps each day! While I think I am pretty active, it would be nice to know if I actually move as much as I think I do. lol. Could motivate me too. Thanks for the giveaway too. I’m a bit competitive with myself. I’d love to get a good baseline for my fitness level and try to better it every day! I need to be more accountable! To stay active during the winter months! What a great way to keep active! With both kids in school, this is my year for me. So, I’m tracking my calories and adding lots more movement in to my days- daily oxygen yoga and walking to and from school (plus walking my two large dogs, individually daily). I’d love to track this activity using a Fitbit! I can’t help but be curious at how well I estimate my daily activity. It would be great to have a gadget that actually tracks it for me. I want to win a fitbit to keep track of my steps and keep me motivated to keep moving!!!! I love my fit bit but it’s time for an upgrade. I love the new features! I would love to own one to help me reach my weight loss goals. Alot of people have them and say they are great. Out of my price range. 🙁 Thanks! I like the thought of having more accountability with my steps. I’ve never used a Fitbit before and would love to try it! Happy 5 years!! – Oh, darn, BC only. Ignore my entry! I would love to have a fitbit!! I need to get off my rear end more regularly. I used to love my fitbitone but now with kids it gets lost so easy. So I would love to have a wrist one. I think this would help keep me more accountable. I would love to track my steps, and compete with people – I am very competitive!! I would love to see how inactive (or inactive) I am, and would also be really interested in how I’m sleeping. It feels like it would be a great motivational tool. I would love to win a fitbit because I think it’ll keep me motivated during the colder months and get me to go outside more. I got one for my wife last year and now I really want one myself, not only for the step tracking but also for the sleep tracking. I never feel rested. I have an older Fitbit that doesn’t tell the time….would love a newer one! I think having a FitBit would help me be more active as it would remind me how inactive I’ve been all day! i would love to know how I am doing. I think I get more steps in than I am sure I do! Id love a FitBit to track my steps. It would encourage me to walk more and beat goals. I just ran my Fitbit through my washing machine so I would love to replace it! I think a Fitbit would help me get into better shape! I would love a Fitbit for tracking my sleep. I am constantly awake in the night for hours. Thanks for a great giveaway! I would love to win a Fit Bit because I am very out of shape and need to get back to exercising. I am a goal oriented person, so I know that having a tracker would help motivate me. I’d love to start with walking and would love to monitor my steps while continuing to improve my fitness. I have heard great things about how it keeps you motivated and always wanted to try it! I love seeing how active I can be during the day! Hopefully something like this will help me get in shape. So bad now I injure my self with anything more strenuous than a flat walk! To motivate me staying active! the fit bit would help me stay motivating and having challenges from friends. I want to win I could use it to motivate me to keep moving! I’d like to be able to have the ability to track my activity levels, and be incentivized to increase them. I love tracking my steps on my phone and this would be even better! I would love to be able to track my physical activities to know how much I have been doing and how much more I should do to attain a healthy physical lifestyle. I would like to win the Fitbit because I need some to keep me motivated otherwise I am very hit and miss in my exercise routine. My Fitbit broke…I’ve had so much success with it in the past I’ve been looking at how I can replace it! I would love to own a FitBit – it will encourage me to be more active and keep track of my progress! I think the FitBit would make me more accountable to my weight loss goals. I want to win a FitBit to help me consistently be active. I would like to start tracking my fitness, and set some goals for myself. The Fitbit can definitely help with that! I love my Fitbit. It really motivates me to keep moving! I love reaching my goals and seeing them tracked so well. I’d love to win this for my husband who really wants one as well. I am in need of motivation and I really think the Fitbit will do that for me. My “old” Fitbit has given up the ghost! I really need a new one!!!! A fitbit would help my keep track of my fitness progress and help me reach my fitness goal. I’d love to win so i can start tracking my movements and get motivated to run again! Since I’m on a mission to lose weight and be more active, this would be perfect for me!!!! I love anything that motivates me to keep moving and that keep my kids moving! A Fitbit would be great! Have been wanting a fitbit for a while. Would love to win. Baby #2 coming so would like to see how active I can stay when LO is here! I would love this FitBit Flex 2!! I looked into it further and you can actually SWIM in this FitBit. So finally a FitBit for me! I swim, cycle, walk, hike, … and I love I don’t have to take it off and that it also tracks sleep too. So very useful. I have been struggling with my weight since I had my third baby and would love to have one to help me with stay on track. I need to keep myself on task! I would love to track my steps as well as my sleep. I think it would motivate me to move more as well. 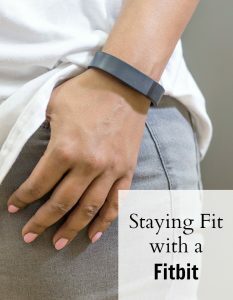 I’d love a Fitbit as I’ve never had one and I think it would help me work on my health goals! I totally need this. Fingers crossed! This is on my hubbies wish list. He would love to get this to help track his fitness and help motivate him. What wonderful opportunity to win one. With the New Year upon us this would be an awesome addition to my fitness resolution. this would be awesome for new years! I use to use it everyday and it helped with with setting my fitness goals and track my sleep. I’m hoping that a fitbit would inspire me to move more. I would love to see how many steps I take walking to work and back! Since having number two I have become less active. I personally need some accountability and I think this may be the key to it.